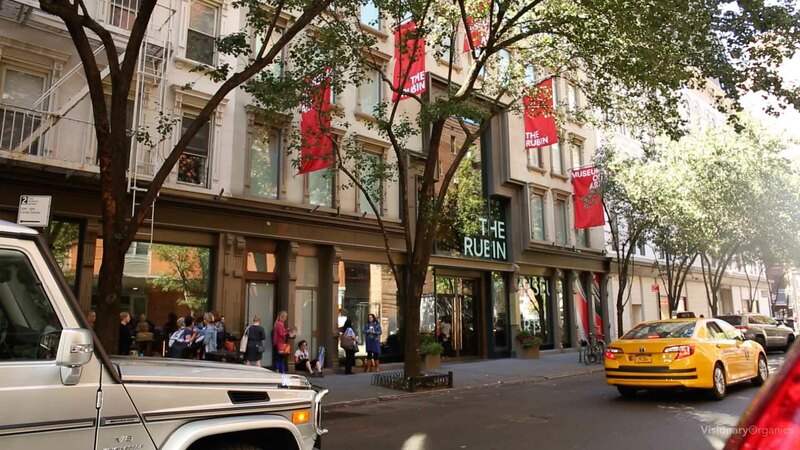 Amidst overdetermined gentrification propelling the punk from seemingly every city corner, New York’s best-kept secrets remain thankfully hidden (at least to its real estate developers) in plain sight (well, as long as you’ve got Google Maps). 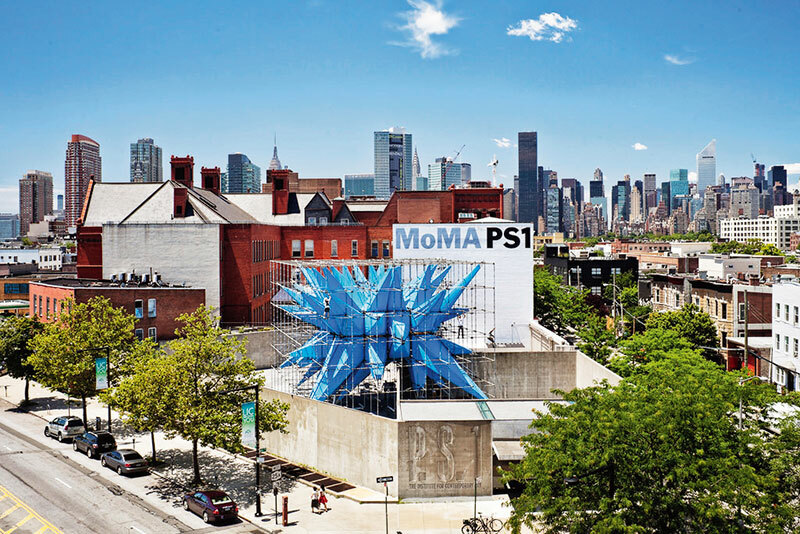 While the city’s most prominent cultural attractions are deservedly popular, needing perhaps no further introduction, sites a bit further afield across three boroughs can also excite discerning locals and tourists alike. 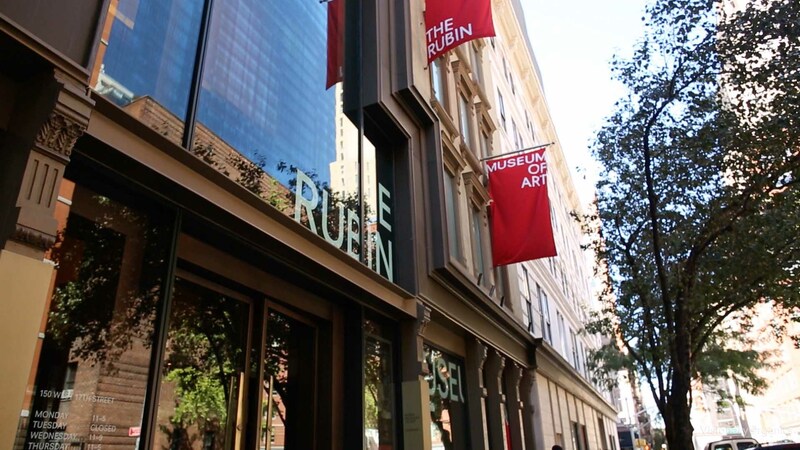 The focus of my New York is the Rubin Museum of Art, an institution dedicated to art and ideas from the Himalayas and South Asia, where I am the curator of modern and contemporary art. 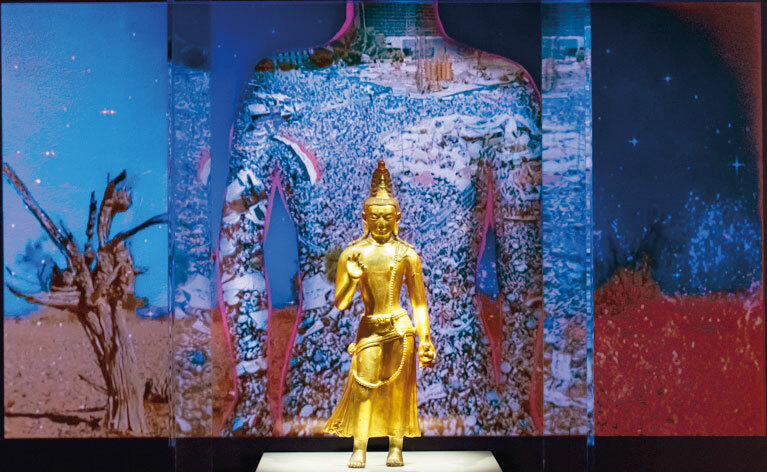 Since 2010 — shortly after returning from Mumbai, where I spent two-and-a-half years pursuing my PhD in art history — I’ve been integrating modern and contemporary art connected to South Asia into the museum’s galleries. Two current exhibitions that I’ve had the privilege and pleasure to develop in 2018 in relation to the museum’s annual thematic consideration of ‘The Future’ exemplify this curatorial programme — A Lost Future: The Otolith Group and Chitra Ganesh: The Scorpion Gesture. A Lost Future: The Otolith Group, on view from June 1 to September 17, 2018, is the second chapter of an exhibition trilogy challenging existing histories and speculative futures across cultures in West Bengal. The Otolith Group — an award-winning collaboration established in 2002 by artists and theorists Anjalika Sagar and Kodwo Eshun — engages with cultural and political legacies of non-aligned movements, new media, black studies, Afrofuturism, and Indofuturism, primarily through the moving image. The exhibition centres on The Otolith Group’s newly completed feature-length film O Horizon, which studies Visva-Bharati, the university founded in Santiniketan in 1921 by Rabindranath Tagore, and the surrounding areas of Birbhum district. Commissioned by Bauhaus imaginista and co-produced by the Rubin Museum of Art, with the kind support of Mumbai gallery Project 88, O Horizon was filmed, recorded and researched over a period of five years and looks at the environmental and other effects of Tagore’s Santiniketan, a long century later. 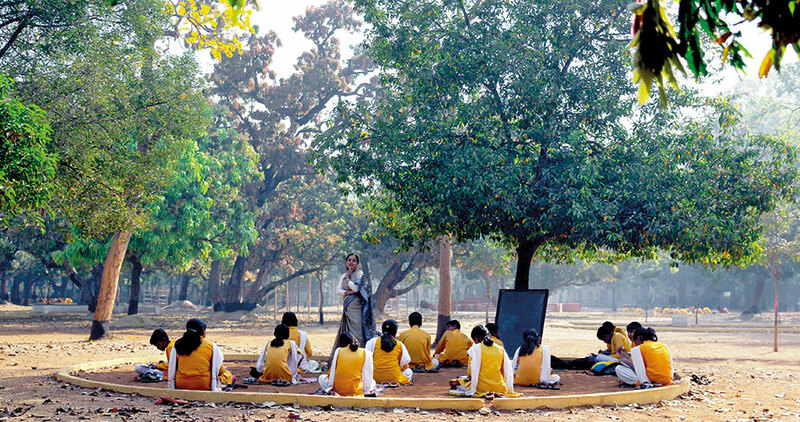 The staggeringly beautiful and important film is presented as an installation in the museum’s galleries, with custom-made seating that resembles the form of the learning circles under trees proposed by Tagore. Also on view in the galleries is an evocative series of digital collages that integrate the past and present of Santiniketan through archival images. For The Scorpion Gesture, Chitra Ganesh’s exhibition is on view through January 7, 2019. 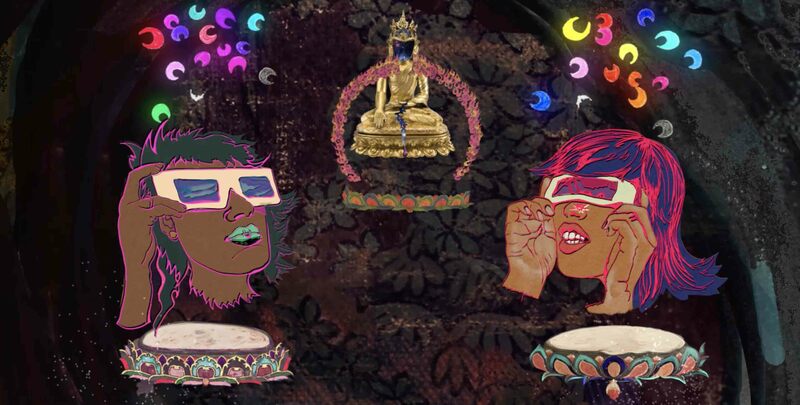 Brooklyn-based Ganesh created a series of animated artistic interventions in the Rubin’s collection galleries. All five are inspired by nearby artworks that relate to Padmasambhava, known to Tibetans as Second Buddha, and Maitreya, the Future Buddha, though each departs from the aesthetics and iconography associated with the traditional works. Ganesh’s animations reveal her inimitable brilliance for translating complex narratives — often of mythological or epic proportions — into poetic, contemporary and lucid visual stories. Ganesh offers viewers a new lens through which to consider objects in the Rubin’s collection, while her own works invite repeated cycles of watching to catch the rigorous extent of their depth, detail and care. Collaging her line drawings, watercolours and paintings with elements from historical reference works, these animations live and linger between two or three dimensions, challenging conventional limitations of drawing and sculpture. They are markers of transformation that speak simultaneously to the historical past, the sociopolitical realities of our present and the speculative potential of an apocalyptic future. When I’m seeking an escape, I head to the Dream House, an ongoing and lifelong art installation by musician La Monte Young and artist Marian Zazeela, located in an unassuming Tribeca walk-up. First conceived in the 1970s, the Dream House plays Young’s sine-wave sounds amidst Zazeela’s sculptures and light installations. In 1970, Young and Zazeela became the first Western disciples of Indian master vocalist Pandit Pran Nath, who virtually introduced the vocal tradition of North Indian classical music to the West. Through Young and Zazeela, Pran Nath’s work intersected an emerging avant-garde underground made up of Yoko Ono, composer Terry Riley, and even renowned artists Walter De Maria and Robert Morris. This history — traversing New York and India — is embodied in the installation and special raga concerts on select summer evenings pay tribute to Pran Nath. Just over the Queensboro Bridge, MoMA PS1 is currently presenting a solo exhibition of photographer Gauri Gill’s series Acts of Appearance, which debuted to great acclaim at Documenta in Kassel, Germany last year. 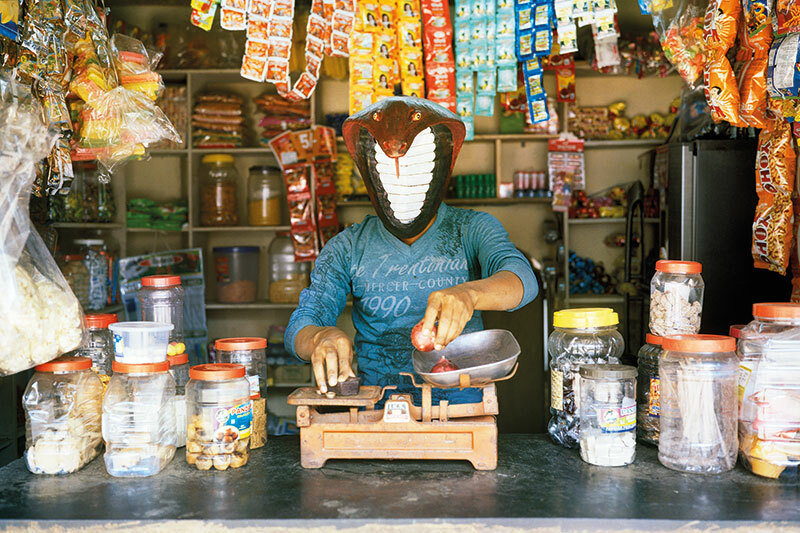 The series features vivid photographs of masked figures developed in collaboration with members of an Adivasi community in Jawhar, Maharashtra. Gill invited her artist collaborators, known for their great skill with papier mâché, to create masks that express their own subjectivities. 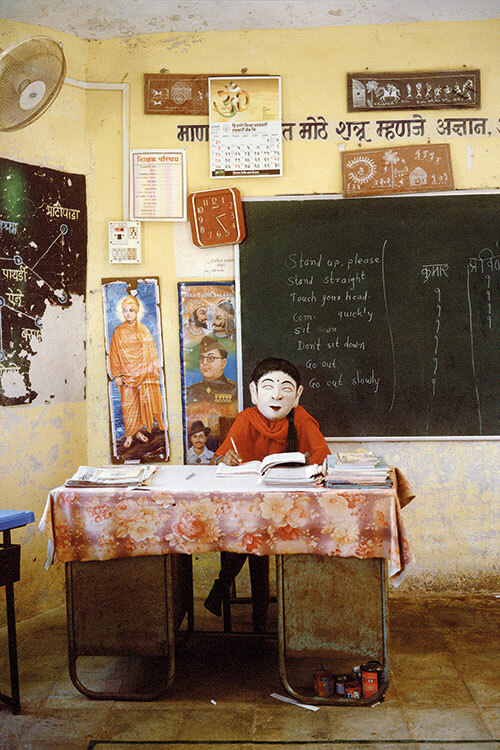 She then constructed photos of these artists wearing their masks in various imagined and everyday scenarios, with the series poetically speaking to the creative agency and individual identities of a traditionally marginalised tribal community. The show is in good company this summer when it is showing alongside exhibitions of the late Iranian-American theatre director Reza Abdoh and pioneering Chinese performance artist Zhang Huan among others until September 3. Everyone may think they have the best yoga instructor, but how many can really claim that their teacher has architected the most beautiful practice space in the city — one which includes an active Ganesha temple and a large-scale watercolour by legendary artist Francesco Clemente. I start my mornings at Brooklyn Yoga Club, a cosmically transformed townhouse on a sleepy block in Clinton Hill, Brooklyn. Under the guidance of Eddie Stern, who studied in Mysore with Shri K. Pattabhi Jois for more than 25 years, students move through set sequences of increasing difficulty at their own pace. Eddie and his wife Jocelyne Stern have built a community that gathers for coffee and conversation on the school’s main floor, where Clemente’s First of the Three is the centrepiece. If yoga’s not your thing, it’s still worth a trip for some of the fine items in the school’s shop, including my friend Lorenza Pintar’s sublime BUTTERelixir oils.